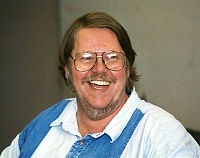 Gardner Raymond Dozois was an American science fiction author and editor. He was editor of Asimov's Science Fiction magazine from 1984 to 2004. He won multiple Hugo and Nebula awards, both as an editor and a writer of short fiction. Which Contemporary SF/F Novel do You want to Discuss with the Group in July?